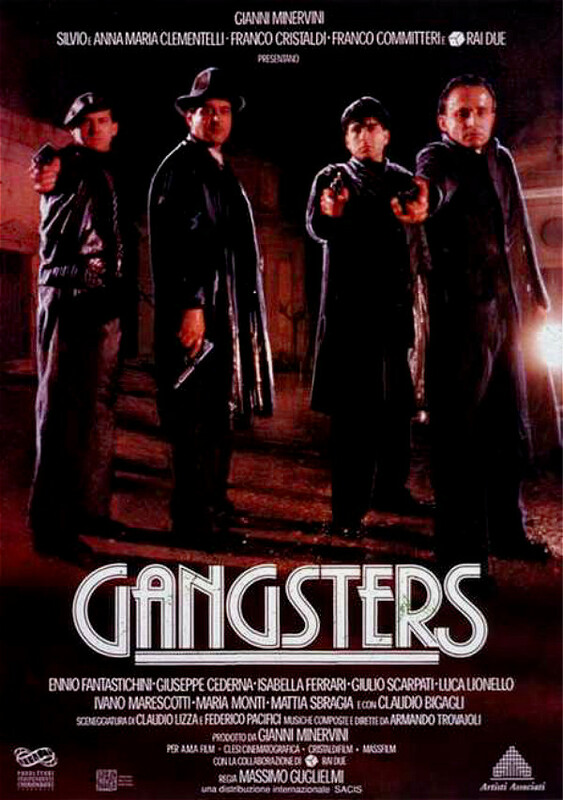 Gangsters is a 1992 Italian drama film directed by Massimo Guglielmi. It was entered into the 18th Moscow International Film Festival. The font used for the film title in the poster is very similar to Plaza Inline. Plaza is the work of British type designer Alan Meeks, an Art Deco sans serif style. It includes many alternative characters which offer endless possibilities. Plaza is ideal for work in which a feel of the 1920s or 30s is desired. In addition to Gangsters (Film), Plaza typeface is also used in the following logos, movie posters or album covers etc., including: Songs Circled, Bad Grandpa.